Every year, people die of altitude sickness and all of these deaths are preventable. If you are travelling above 2,500m/ 8,000 feet, read this information and make sure you pass it on to your team. It could save your life. What is Altitude Sickness ? Altitude sickness has three forms: Acute mountain sickness(AMS), High Altitude Pulmonary Oedema (HAPE), and High Altitude Cerebral Oedema (HACE). AMS – Acute Mountain Sickness Mild altitude sickness is called acute mountain sickness (AMS) and is quite similar to a hangover. It causes headaches, nausea and fatigue. This is very common: some people are only slightly affected, and others feel awful. However, if you have AMS, you should take this as a warning sign that you are at risk of the serious forms of altitude sickness HAPE and HACE, both of which can be fatal within hours. HAPE – High altitude pulmonary oedema HAPE is excess fluid in the lungs, and causes breathlessness. It is never normal to feel breathless when you are resting at altitude, even on the summit of Mt. Everest. This should be taken as a sign that you have HAPE and could be in serious danger. HAPE can also cause a fever (a high temperature) and coughing up frothy saliva. HAPE and HACE often occur together. HACE – High altitude Cerebral oedema HACE is fluid on the brain. It causes confusion, clumsiness and stumbling. The first sign may be uncharacteristic behaviour such as laziness, excessive emotion or violence. Drowsiness and loss of consciousness occur shortly before death.Treatment of HAPE AND HACE Immediate descent is absolutely essential. Dexamethasone and Acetazolamide should both be given, if available Pressure bags and oxygen gas can be used. Two things are certain to make altitude sickness very likely. Ascending faster than 700m per day, and exercising vigorously. Physically fit individuals are not protected; even Olympic athletes get altitude sickness. Altitude sickness happens because there is less oxygen in the air that you are breathing at high altitude. Altitude Sickness prevention Go up slowly, take your time, climbing a mountain is not a sprint, it is a marathon. The slower you go, you are giving your body the time to get used to the lack of oxygen and moving to higher altitude. The body has an amazing ability to acclimatise to altitude, but it needs time. Some people need more time than others so going as slowly as possible can aid you in the acclimatisation process. For example, it takes about a week to adapt to an altitude of 5,000m. Can I take drugs to prevent altitude sickness? As with everything, you have no guarantee to prevent mountain sickness. In some instances treatment can make AMS worse or have other dangerous side effects. Only one drug is currently known to prevent AMS and has been tested to be safe for this purpose; acetazolamide (diamox). There are some side affects such as tingling fingers and a funny taste in the mouth and you should always consult your doctor before making the decision to or not to take Diamox. Most people remain well at altitudes of up to 2,500m/ 8,200ft the equivalent barometric pressure to which aeroplane cabins are pressurized. However, even at around 1,500m/ 5,000ft above sea level you may notice more breathlessness than normal during exercise and night vision may be impaired. 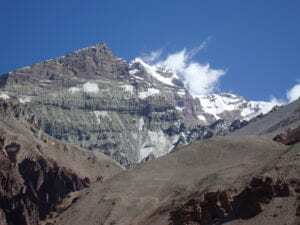 Above 2,500m/ 8,200ft the symptoms of altitude sickness become more noticeable. Having an acclimatization schedule and itinerary to match a slow ascent to higher altitude is key to success when moving into low oxygen environments. Altitude is cumulative: The higher you go the worse it gets. If you would like further altitude information, please get in touch with us directly.